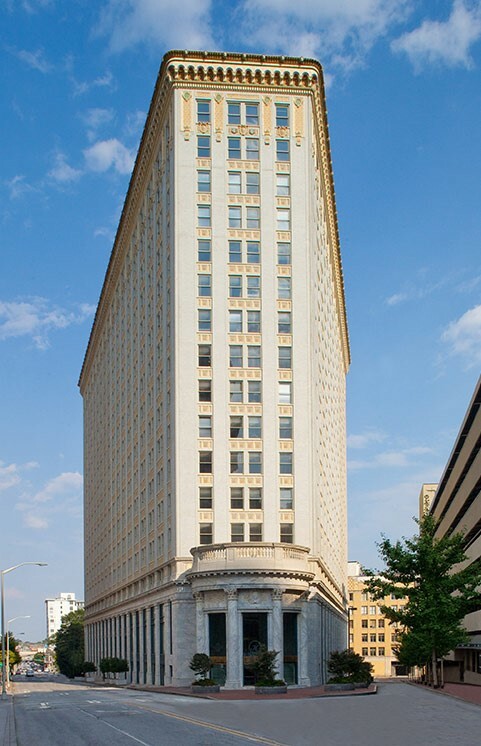 February 1, 2016 (Atlanta, GA) — Boxer Property announced today that it has concluded lease expansion of 23,970 rentable square feet, negotiations with their client, Grady Health System, bringing the Health System’s total square feet of office space to over 80,000 square feet at 50 Hurt Plaza in Downtown Atlanta. Regional Leasing Manager, David Barry and Senior Leasing Representative, Adam Blue negotiated the lease on behalf of Boxer Property. The Hurt Building, located at 50 Hurt Plaza, has 17 stories with a total of 436,340 square feet of office space for rent in Atlanta. Old meets new in this historic Downtown Atlanta building: the turn-of-the-century Chicago-style architecture sets the mood, while the LEED-EB Platinum, BOMA 360, and Energy Star certifications take it to another level of modern-day responsibility and sustainability. Hurt Building’s polished marble lobby, grand staircase, high-end event venue, and stunning views of the city inspires awe from all who visit. Centrally located in the Government District, The Hurt Building puts Downtown Atlanta’s many offerings right at your doorstep. With easy access to I-85, I-75, and I-20, the Hurt Building is within walking distance to Two MARTA train stations as well as several bus stops. Grady Health System is one of the largest safety net health systems in the United States. Grady Health System consists of the 953-bed Grady Hospital, six neighborhood health centers, Crestview Health & Rehabilitation Center, and Children’s Healthcare of Atlanta at Hughes Spalding, which is operated as a Children’s affiliate.